As the schools once again enjoy their much-deserved holiday breaks, many parents wonder how they are going to look after their children while still at work. 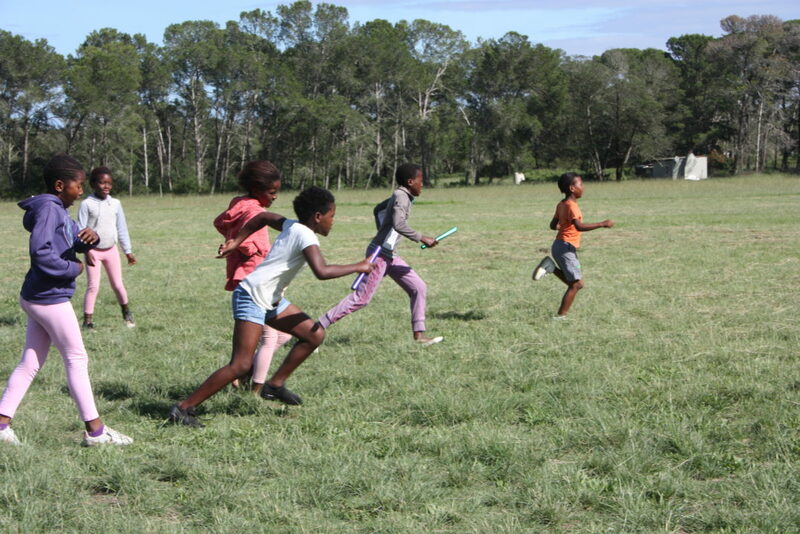 For the children and parents in Seven Fountains, this issue has been solved by the Lalibela Game Reserve, who host a holiday club for children to attend throughout the school holidays and enjoy fun, games and snacks galore. 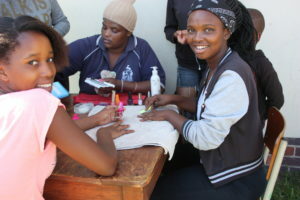 A group of teenage girls at the nail bar learning how to do manicures at the Lalibela Holiday Club. 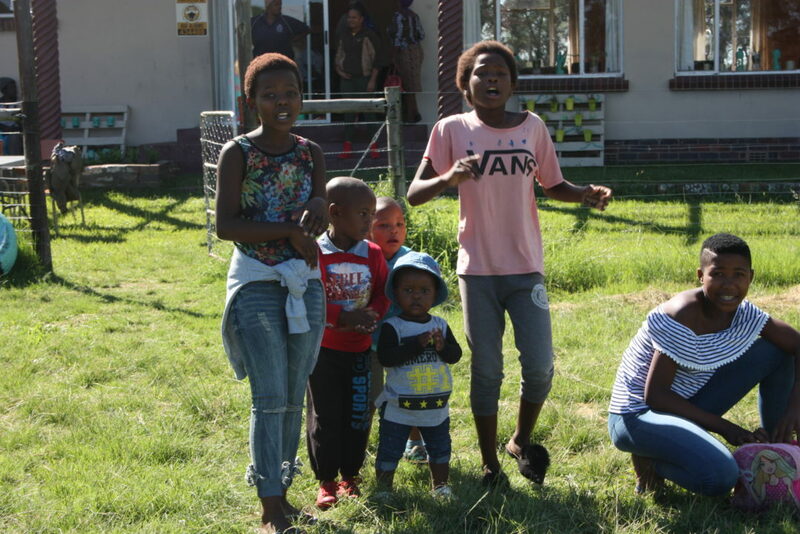 Started in 2018, the Lalibela Holiday Club takes place during every public school holiday period, meaning that four times a year, children that would otherwise be bored at home, can enjoy the holidays through games and activities at the Seven Fountains Recreation Centre. The idea sparked last year when Charmain Gradwell, Lalibela’s Community Outreach Manager, saw that there was little happening in the village for the children during the holidays. As a teacher, Gradwell knows the importance of busy hands and busy minds. The club has since grown in popularity for both children and their parents. 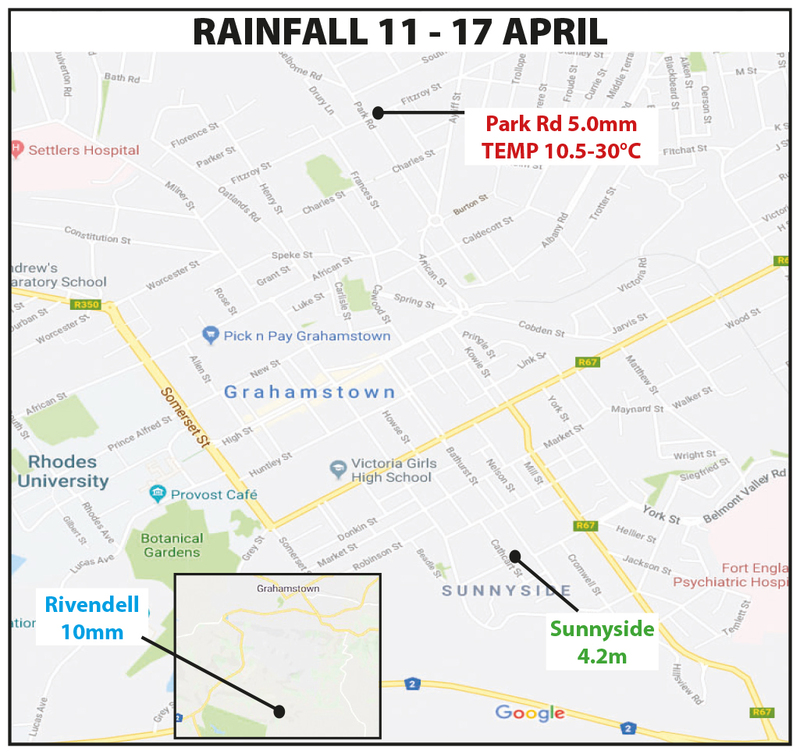 On average, between 60-70 children from Seven Fountains come through during the shorter holiday periods in March and October. Gradwell suggests that the major holidays in June and December attract between 120 and 150 children. The children take part in a variety of arts and crafts, as well as crocheting and decorating. They also play sports such as cricket, tennis and sometimes run races. On Wednesday 27 March, the children even worked on a garden, teaching them even more life skills. 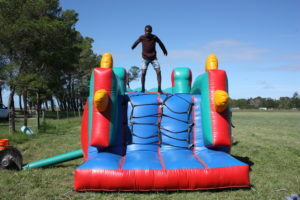 Fun activities such as jumping castles and arts and crafts keep the children at the Lalibela Holiday Club entertained. The Lalibela Holiday Club is also looking to expand. The Recreation Centre is host to the recently launched sewing project, and in the near future will offer knitting and crocheting lessons as well as a beadwork centre. The expansion includes kids activities like a playground and homework club during term times. Gradwell hopes this will be up and running soon. Gradwell appreciates the support that the initiative has received from the community and the staff at Lalibela Game Reserve. “The best and most important type of support we need to make sure this project maintains its success is ‘hands on’ support from adults. 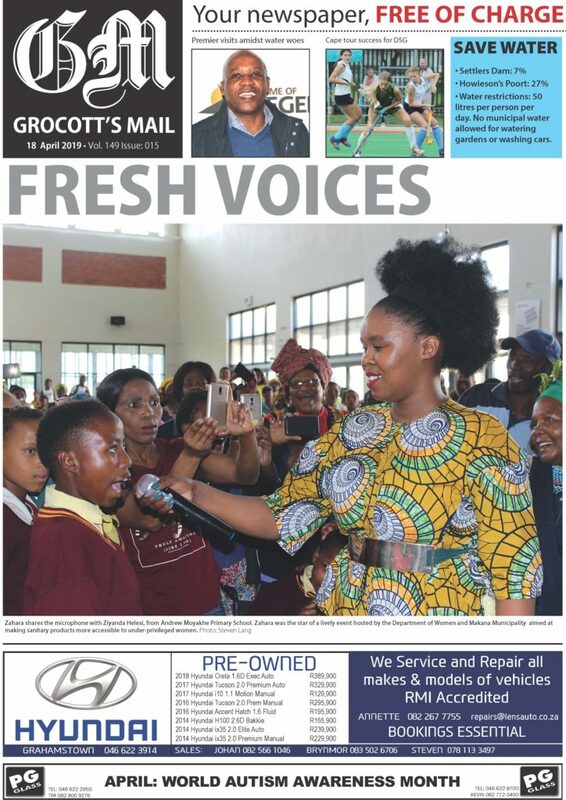 The assistance we receive at the moment is from parents, staff from Lalibela game reserve and community leaders,” she said. 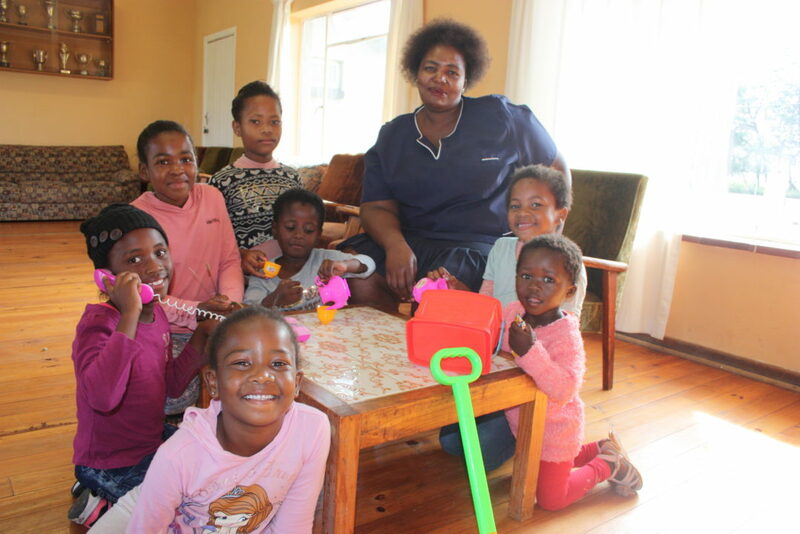 Parents in the community, such as Nokhanyo Binda, always look forward to the holidays now, as their children can continue to learn and play even when they are not in school. “I love school holidays because we as parents see how our children are getting opportunities to learn things we don’t do with them at home,” said Binda. 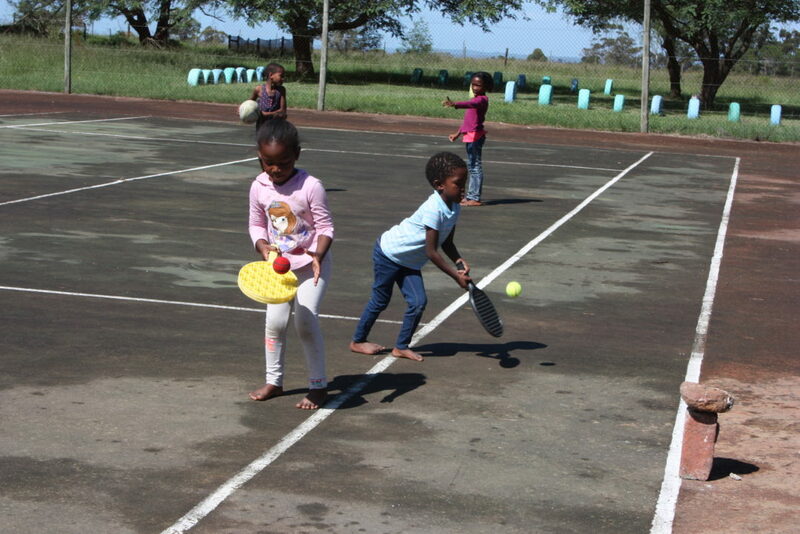 Two young girls work on their ball skills at the Lalibela Holiday Club near Seven Fountains. 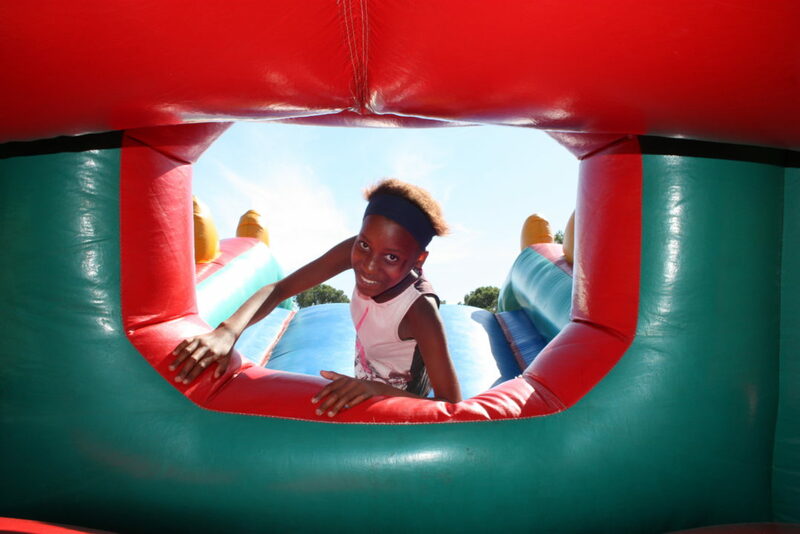 A girl looks through the bottom of the jumping castle at the Lalibela Holiday Club. One of the volunteer moms at the Lalibela Holiday Club taking care of the girls. 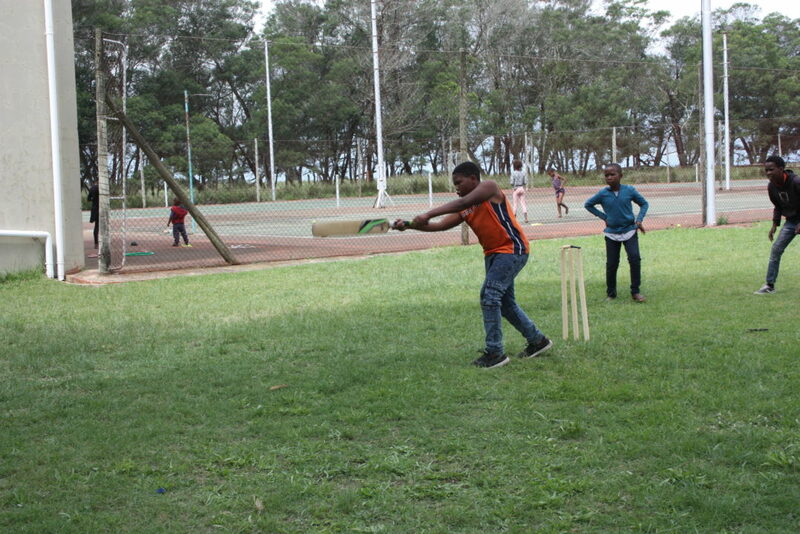 Some of the boys at the Lalibela Holiday Club play cricket and work on their skills during the day. 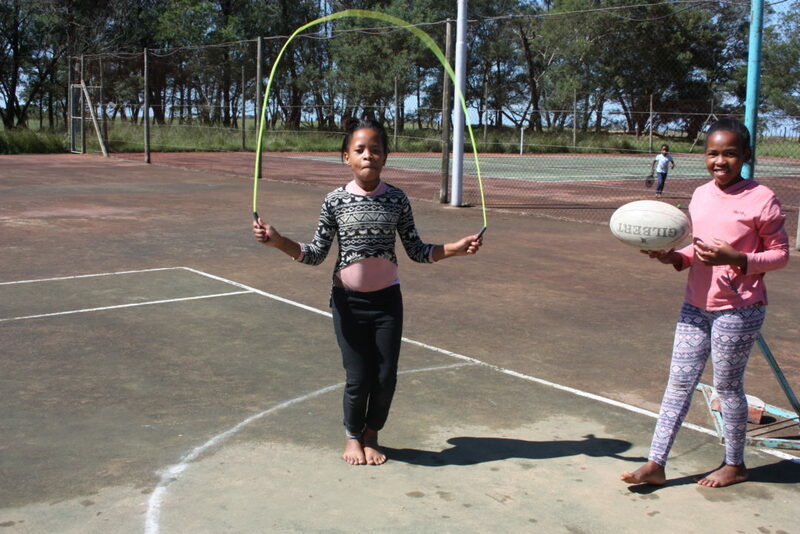 There are a lot of fun activities and sports for the children to take part in at the Lalibela Holiday Club, including jump rope and working on ball skills.